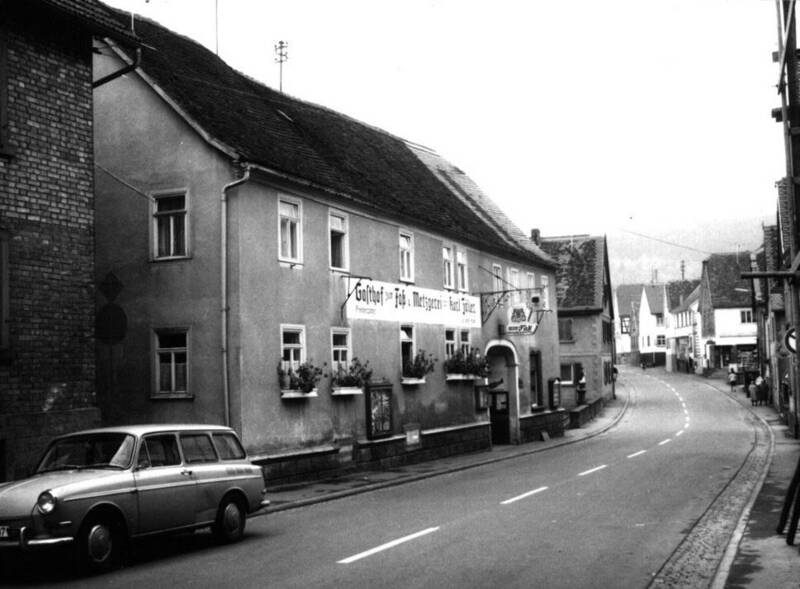 My ancestor, 3x great grandmother Eva Catherina Kunkel nee Happ, was a descendant of a family dynasty which owned an inn in the Bavarian village of Dorfprozelten for at least 200 years. I would love to have lunch with her in her own inn, Das Goldene Fass. 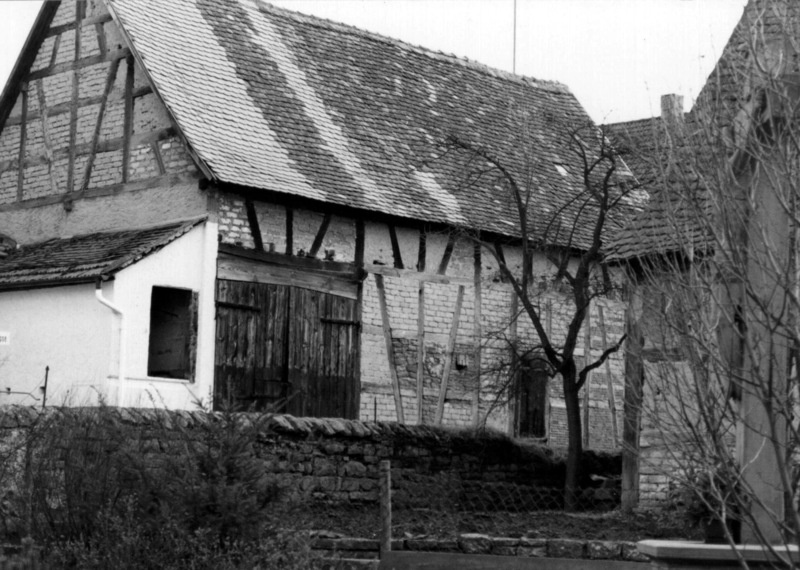 (I’m working on the whole time-travel-is-possible thing as the inn was demolished in the mid-20th century). She’s not really famous but in my family tree she is pivotal as she links the Australian branches and the Bavarian branches and could answer so many questions for me. It was Catherine’s son, Georg Mathias, who emigrated to Australia in the 1850s and started our Australian line. I would love to get her insights into so many things that affected her family. Why did her son leave home? Was it truly because of the risk of military service? How did she feel to see him leave the village, knowing it was likely she’d never see him again? Was he jealous perhaps that his step-brother inherited the inn? Did Georg’s brother Philip Joseph Kunkel really emigrate to the United States? Or was that after her sudden death? Did Georg write to her after he left home and did she know that he had married an Irish woman and had a big, healthy family. Did he tell her if he was happy in his new country? I really hope he didn’t regret giving up so much and making his life here. 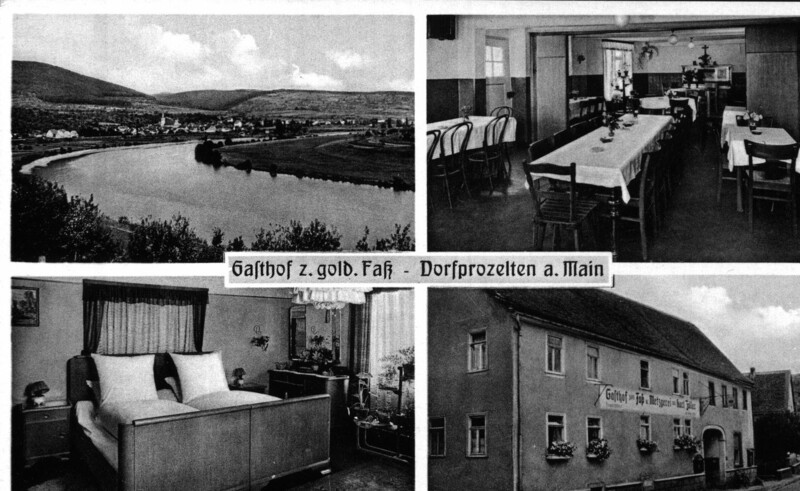 In Bavaria, the family inn regularly hosted tourists to their village and I wonder if her son spoke some English before he left home. I wrote a hypothetical story of his last day in the village. I’d love to ask her if this was just a romantic view of what might have happened or if he did any of these things? She was there when the 60+ men, women and children left Dorfprozelten for Australia. I wonder how the loss of these people affected the small village: she would be able to tell me this, and the gossip about all those who left. I’d have so many questions she might regret that we were lunching together, but I hope not. Would she see any physical resemblance between me and her own family. My daughter says I have “big German hands”, so perhaps she would. The local history of the village tells me something of the menu for the inn at other times, so I’d expect we’d drink the local white wine from its distinctive Bochsbeutel wine bottle. We’d likely have fresh pike cooked with cardamom and mustard, salmon prepared with lemon, special beer, home-made apple-wine, bacon, roast pork and varieties of home-made sausage. I’d love to tell her that George had brought those traditions with him, and that some had become part of his Australian family’s Christmas celebrations. After a meal like that, and our lengthy conversation, I hope Catherine would let me stay overnight. It would be wonderful to sleep in the deep beds with their fluffy eiderdowns and feather pillows! And in the morning it would be wonderful to awaken to the smell of the freshly-baked bread and pastries from the neighbouring bakery. Or perhaps I’d awaken to discover it was all just a wonderful dream. 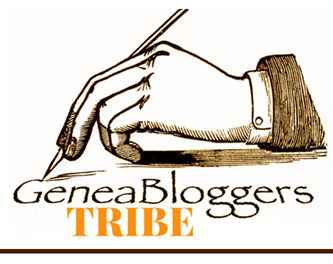 This post is inspired by Lisa Alzo of The Accidental Genealogist blog and her Fearless Females: 31 Blogging Prompts to Celebrate Women’s History Month. Veh, G. Dorfprozelten Teil II. pp. 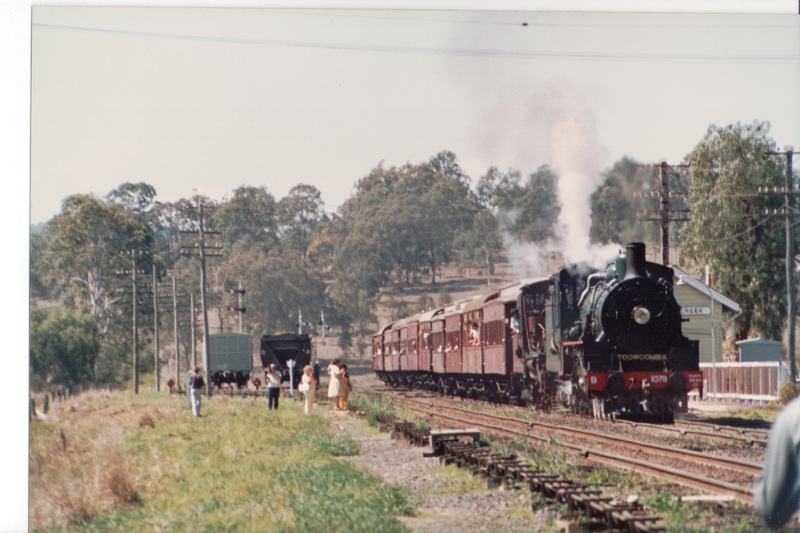 193-195. 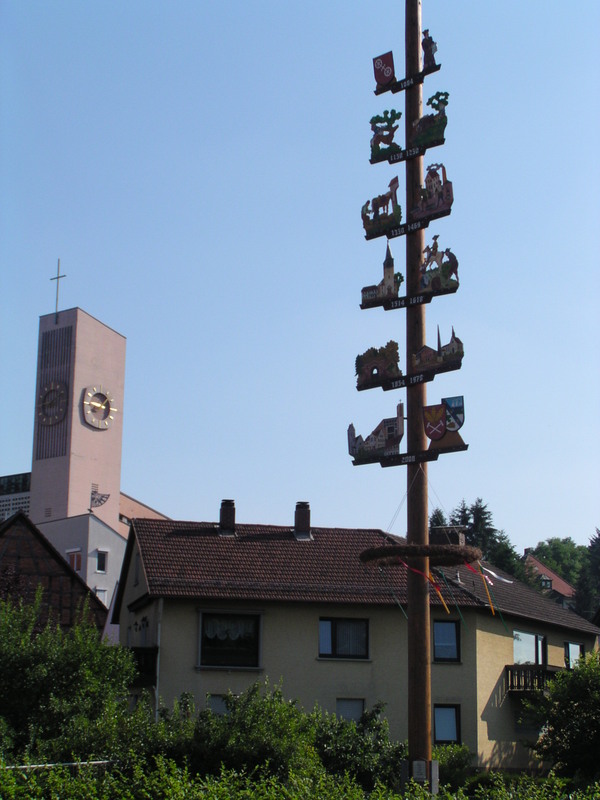 When I started this blog two years ago, one of the pages tabbed under the image was “Dorfprozelten, Bavaria”. This has easily been the single biggest “hitter” on my blog, no doubt aided by the unusual name bringing it up in Google searches. It’s attracted quite a number of people with ancestry from this little village in Bavaria and it’s been a means of connecting up those researching the same families. In the greater scheme of Australia’s migration, they are a small group – some 62 individuals in 23 family groups or alone. However the loss of these individuals, mainly over a couple of short years, must have been severely felt in their home town. They are also a little different from the general Australian perception of German immigrants, as they were Catholics not Lutherans. The majority of them were family units who arrived under New South Wales’s vinedresser assisted migration scheme. 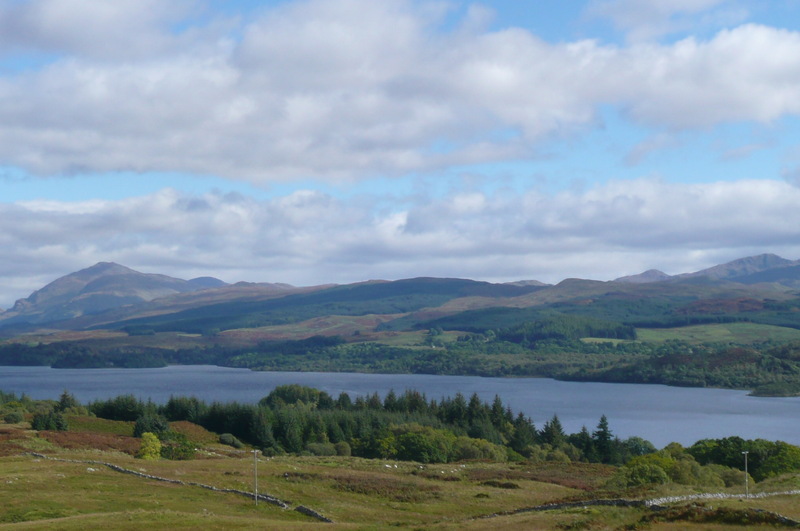 A smaller number arrived as individuals mainly contracted to work as shepherds before they arrived here. I’ve been researching these emigrants from Dorfprozelten to Australia for about 10 years, initially in the hope they’d lead me to my George Kunkel’s arrival information. 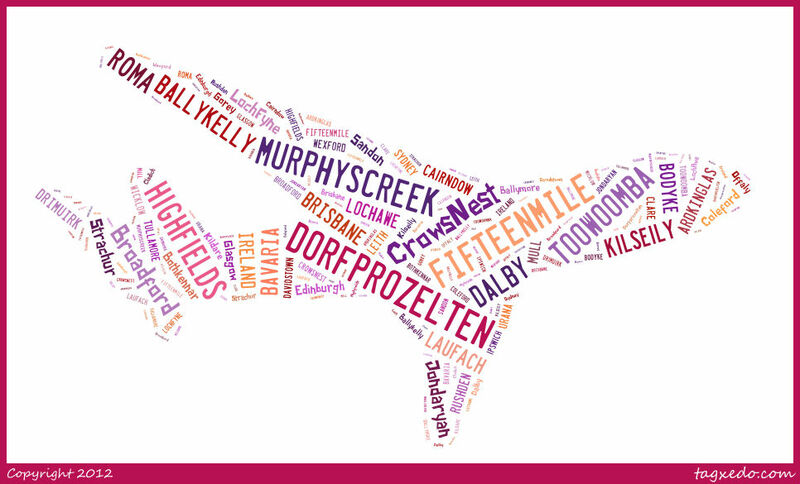 I’d also I noticed that land owners around his property in the Fifteen Mile near Murphys Creek, Queensland shared some of the same names as the Dorfprozelten immigrants. 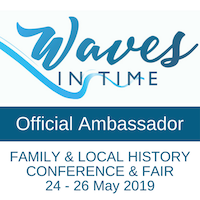 Over the years I’ve managed to confirm the connection between these families, which was largely lost to the descendants of these families. Even my reliable oral history from George’s grand-daughter suggested the families were just neighbours. 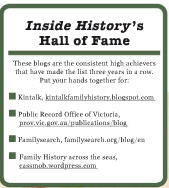 Also over the years I’ve slowly accumulated quite a bit of information on these families. I have more on those who came to Queensland (then called Moreton Bay and part of New South Wales) and less on the New South Wales immigrants. This is mainly an access issue – I’m more often in Brisbane near the Queensland archives than I am in Sydney. For all these reasons I’ve launched another new blog called From Dorfprozelten to Australia where I’ll draw these stories together. 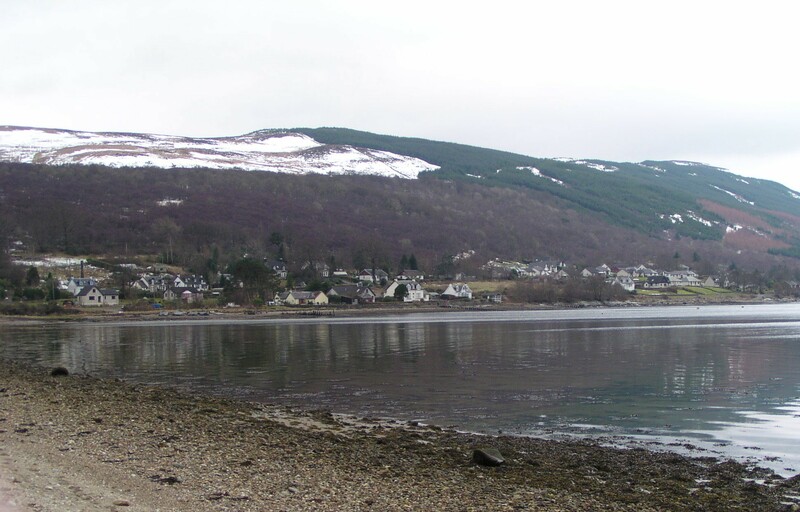 Although the focus is on Australia I would certainly be keen to hear from anyone whose ancestors emigrated from Dorfprozelten – I know that over the years many emigrants left the village for “America”, be that USA or Canada. One of these immigrants may be my ancestor’s brother Philip Joseph Kunkel, or perhaps Joseph Philip Kunkel, born 1840. Family stories throughout all the branches say a brother went to America and I think it likeliest he was the emigrant as he disappears from the church records. I’d really love to hear from anyone who might be descended from him. 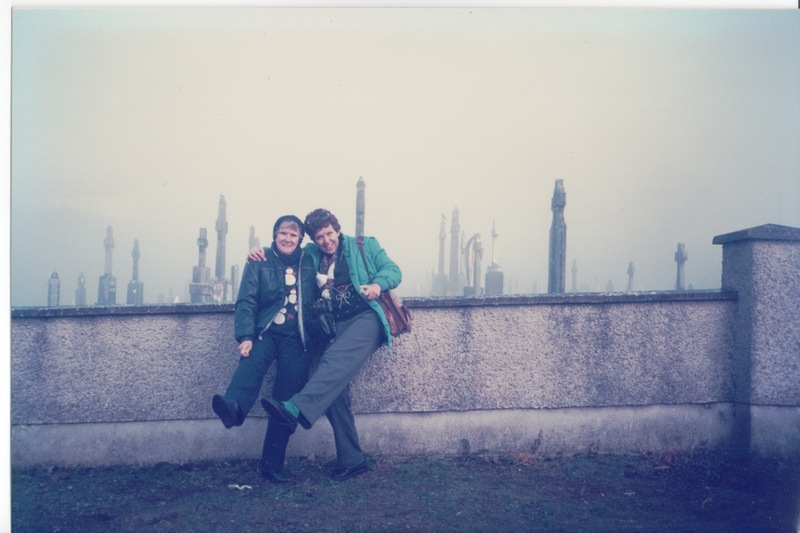 I suspect the new blog will mainly be of interest to those with Dorfprozelten ancestry but may also interest researchers with a Bavarian background though I am unable to help with that in any specific way. Christmas Eve is an interesting day because depending on which day it falls can affect what happens for much of the day. Unless Christmas was on a Sunday, Christmas Eve has usually been spent at work and as this was a peak admin workload period in universities it meant working flat out for a good deal of the day with little opportunity for an “early mark”. Our work Christmas party started on the stroke of midday except for the elves who set up before hand and of course the end-of-party clear up. Then a quick dash home and get into the serious business of family Christmas preparation. It was only in years when Christmas was on a Sunday, as in 2011, when the Christmas Eve preparations could be more leisurely. I don’t know why but procrastination most often affected present wrapping so that would often happen on the family room floor while we listened to the Carols from the Myer Music Bowl in Melbourne on TV. If there was one cooking chore that was a list-minute one it would be making shortbread, and true to tradition, it’s on my list for today. A postcard for Das Goldenes Fass, owned for 200 years by the Happ then Kunkel families, but not by the time this photo was taken, it was in other hands. However I doubt much changed over the years..
During their teenage years in high school and uni, our children worked part-time in hospitality and often seemed to have a roster on Christmas Day. 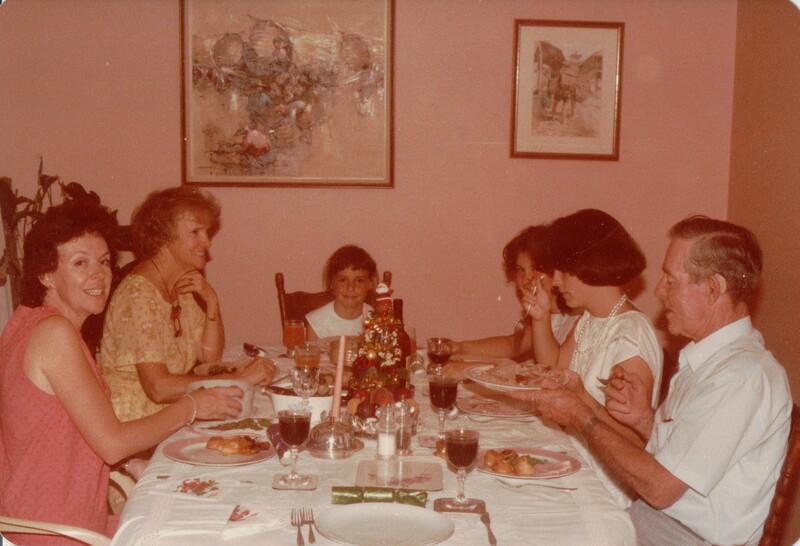 Over the years we adopted the tradition of having Christmas dinner on Christmas Eve – a bit more suitable than midday on a hot summer’s day, and I think we all enjoyed the festivities leading into Christmas Day too. It occurred to me writing this story that there’s a link between our children working Christmas Day in hospitality and the life of my ancestor George Kunkel in Bavaria as a child and young man. His family owned one of the village inns which had visitors from far and wide, so it’s quite possible that he and his family spent Christmas Day providing a wonderful meal for visitors. Some of their culinary treats included fresh pike cooked with cardamom and mustard, salmon prepared with lemon, special beer, home-made apple wine, bacon, roast pork and local wine. [i] I’m assuming that in a small village like Dorfprozelten, most of the local residents would have spent Christmas with their families and friends. Perhaps the Kunkel and Happ families had also celebrated their family Christmas on Christmas Eve? Looks like another research activity to learn more about what might have happened. Traditionally our family’s Christmas Eve finale was attendance at midnight Mass. It always had such an atmosphere with candles sparkling through the darkness, little kids (and big ones!) 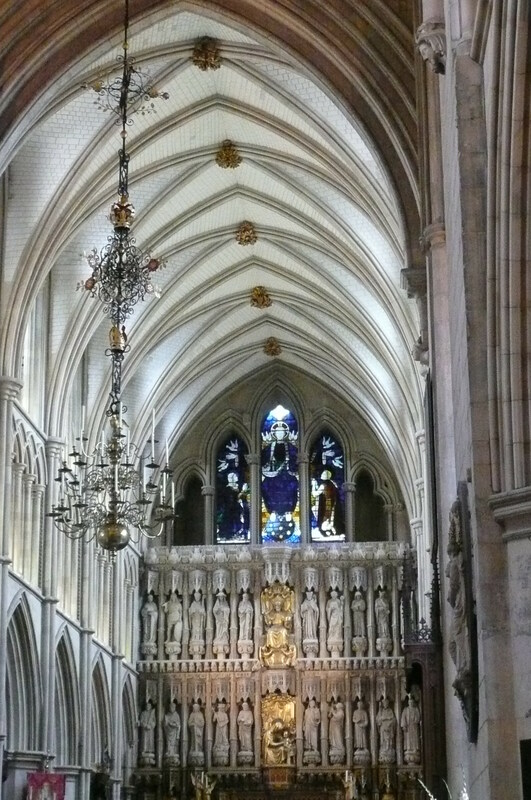 yawning, and then the music throughout culminating in the rocking carols belted out by the band at the end of Mass. [i] Veh, G. Dorfprozelten am Main Teil II, pages 193-195. Did your family visit the cemetery at Christmas? How did your family honour deceased family members at Christmas? Our family didn’t visit the cemetery at Christmas nor was any mention made of family members who died around this time. I guess when family members die at this time, the ones remaining just want to reflect on it themselves and don’t want to air their feelings. 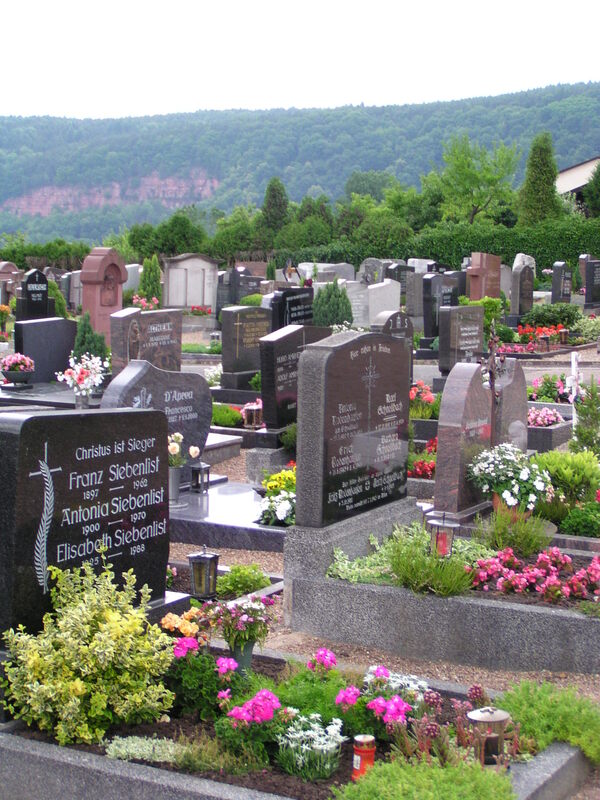 The beautifully tended cemetery in Dorfprozelten, Bavaria. This is in direct contrast to my Kunkel family’s Bavarian heritage where the local cemetery and the deceased family members are honoured throughout the year with seasonal decorations and candles on the graves. A couple of branches of my ancestry also arrived in Australia within days of Christmas so really I should celebrate them as well on Christmas Day. My grandmother died on 19 December and as we were in Brisbane from Papua New Guinea at the time it was very sad even though she was in her eighties. Dad was very close to his mother so he didn’t want to talk about it at all, and there was a general injunction not to mention the “D” word even in relation to inanimate things like trees. However that Christmas my daughter was also an infant on the crawl,and as the first grandchild whom they saw infrequently due to being in PNG, she provided a great distraction in what was otherwise a sad time for Dad. 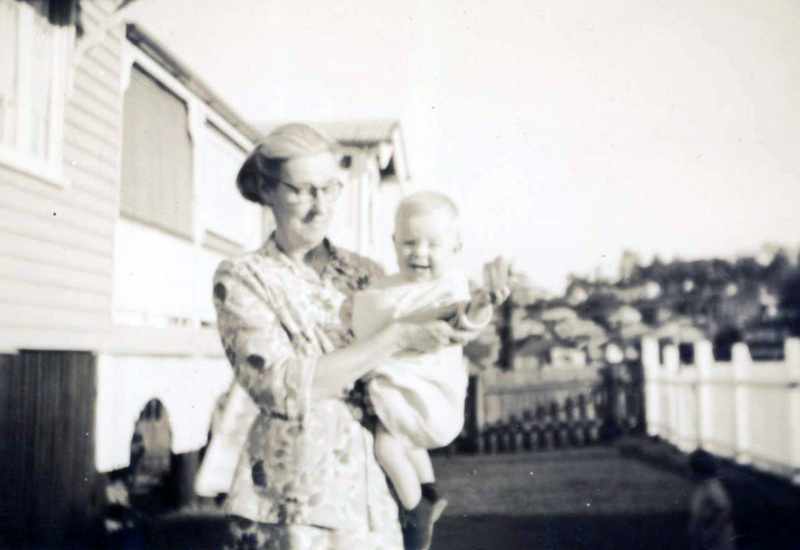 My grandmother with me as a child. My paternal grandfather had good reason not to talk about deceased family on this day. His father, George Michael Kunkel aged only 43, died on Christmas Day 1901. Just six weeks earlier George and his children had lost their wife and mother, Julia. As the eldest son and child, my grandfather would have been at the forefront of all the impact of their being orphaned. 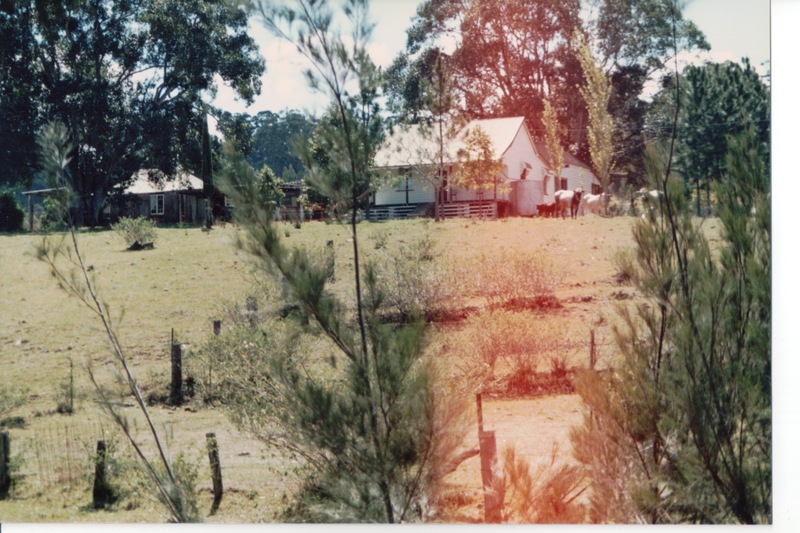 On that Christmas Day the message was sent to my great-great grandparents, George and Mary Kunkel, that their son had died of a heart attack at Grantham, about 14 kilometres from the Fifteen Mile at Murphys Creek where his parents lived. What a horrible time they would have had on that Christmas Day. It was always going to be a sad day with the loss of Julia being so recent, but to lose George as well was truly a tragedy – about which I knew nothing until I started doing family history. As far as I know my father knew nothing about this event either – my grandfather kept his own counsel. 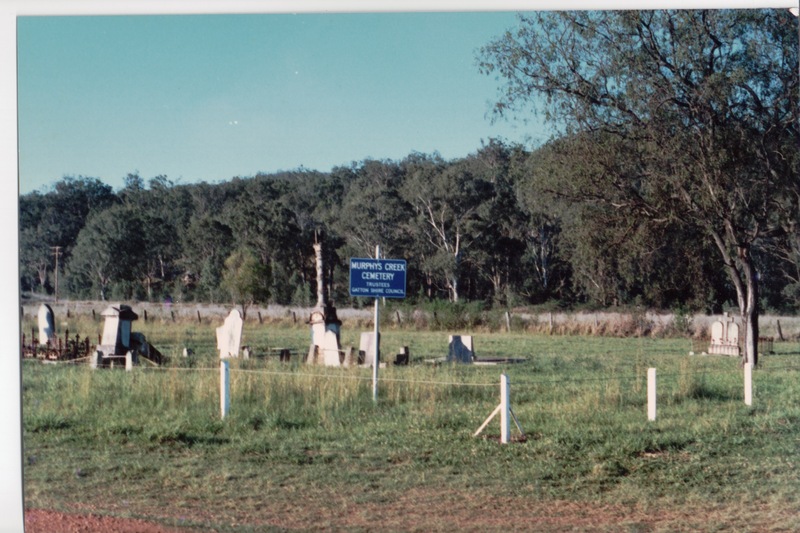 George Michael Kunkel was buried in the Murphys Creek cemetery on 26 December 1901 in the grave where his sister had already been interred and where his parents would later lie at rest. The restoration of this grave has been completed in 2011, as a memorial to their people who founded the family, and their descendants. 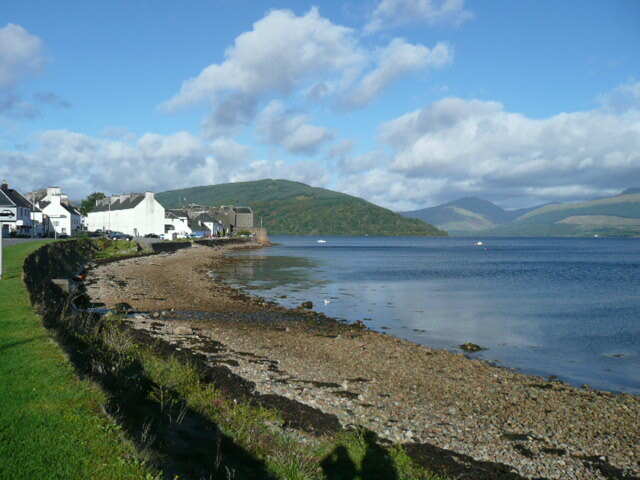 I’ve already spoken about my Melvin and McCorkindale ancestors and the trail of shortbread crumbs that followed them from Scotland to Australia. 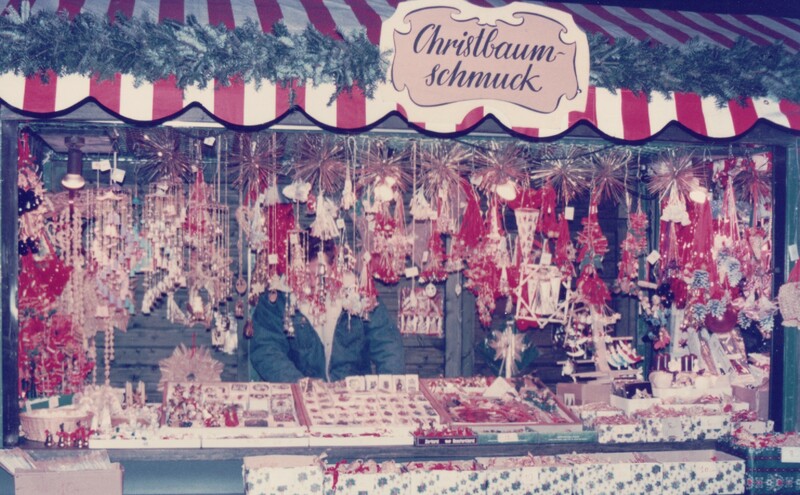 A dazzle of decorations in the Christmas markets Nuremberg, Bavaria 1992. The ancestor I feel for the most, in terms of traditions lost, is George Kunkel from Dorfprozelten. Bavaria has a centuries-old tradition of the most wonderful Christmas markets and it’s most likely he’d have visited one in the neighbouring towns. 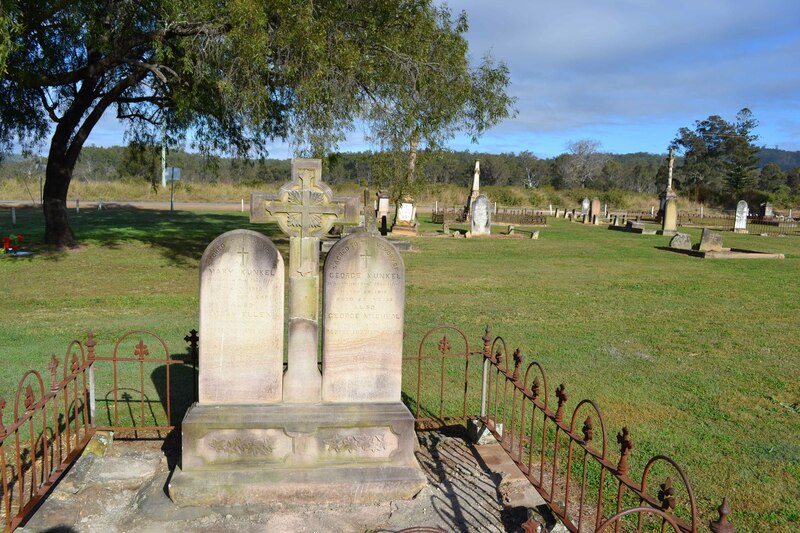 The lights, smell of chestnuts and sausages, and all the special crafts would surely have been such an enormous contrast to his life in the bush at Murphys Creek. I wonder if he was nostalgic at Christmas time for the old Bavarian traditions? The tragedy that would befall this family one Christmas Day would only have added to his sadness. 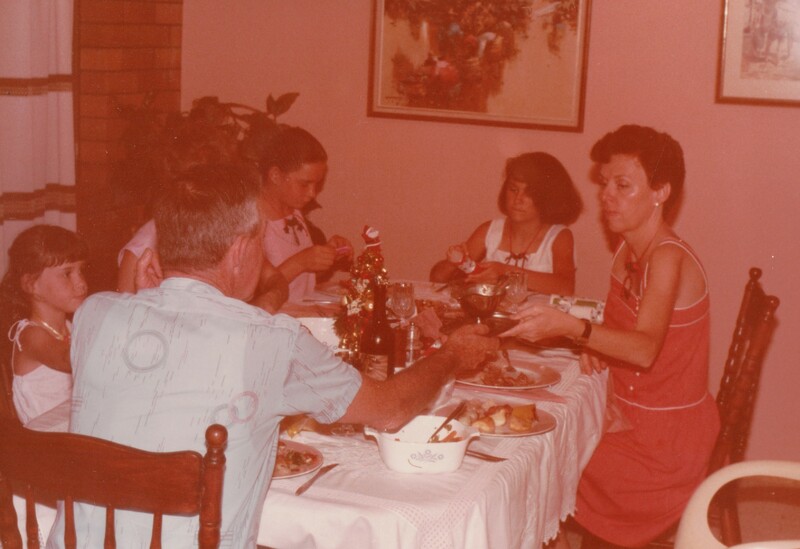 However, thanks to the memories relayed to me by one of George and Mary Kunkel’s grandchildren, Anne Kunkel, in 1988, our family knows a little more about how Christmas was celebrated by them out in the rural area of the Fifteen Mile in Queensland. 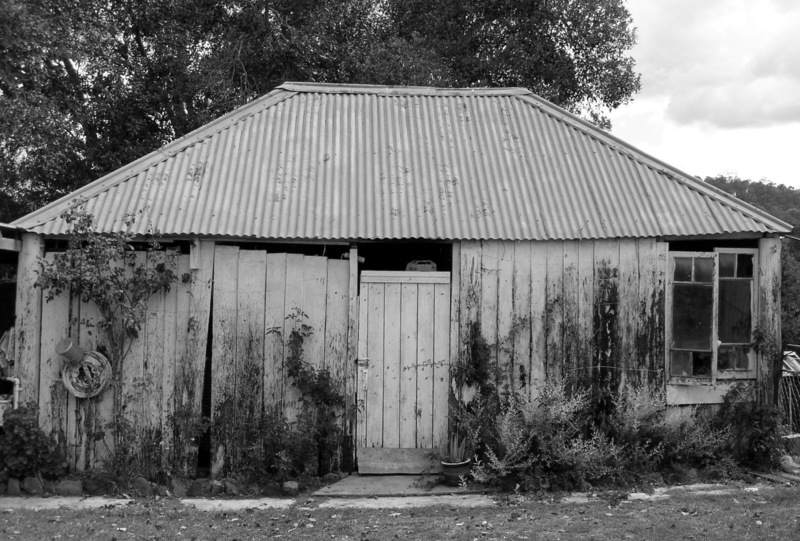 This is an extract from my book Grassroots Queenslanders: the Kunkel Family. Anne talked first about how her grandfather would prepare the pig for slaughter and make sausages and black and white pudding after cleaning the skins in the nearby creek. He had a big wooden packing case about the size of the table top, square, and salted the pig down in that. Every morning he turned the sides over, resalted it then we’d eat it for Christmas. There was the brawn to make and the lard to render. The brawn was lovely. Anne said Gran (Mary O’Brien) was a good cook and she thought George could cook too….she didn’t know he had worked as a pork butcher, a tradition which ran in his family along with running an inn in his home village. I talked on 2ndDecember about our own family tradition of eating roast pork, well before we knew of this ancestral connection. 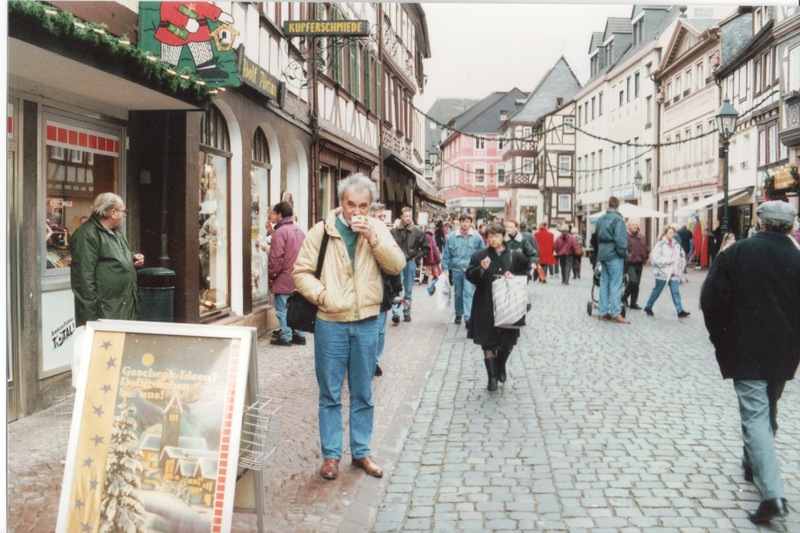 Mr Cassmob following my ancestor's tradition of drinking gluhwein at Christmas in the town of Miltenberg near Dorfprozelten, Bavaria. In Anne’s early years the family would return to Murphy’s Creek for Christmas, six families at least, and it was a happy time. “Of course the tradition with the hot meals and everything still existed, plum pudding and all that. We had our poultry and our own ham and we’d get whatever meat we wanted and whatever vegetables we wanted, we grew. There was always fruit that had to be stewed and that sort of thing. And you could have milk puddings and always had plum pudding and white sauce. The Kunkels grew peaches and apricots in their orchard down near the creek. The grandfather also grew Isabella grapes from which he also made his own wine. They were champagne coloured grapes, a sort of big pink grape, and a lot of it would have come from the old country, the fruit trees and everything. There were grapes growing all around the orchard – big trellises of them. It was nothing for us to give away a kerosene tin of grapes[i]. Christmas (summer) is grape, melon and stone fruit season in Australia –some compensation for not having gluhwein, chestnuts, fires and sparking lights. The Kunkels also used to have a sugar melon, they were sweeter than a watermelon. You’d wet a sugar bag and put it over the melon and put it in a cool place where it would get the breeze on it. With freshly churned butter, and no doubt fresh bread from the open fire in the kitchen, and if true to Mary’s heritage, lots of potatoes, it would have made quite a Christmas feast. [i] Anne’s description doesn’t quite fit with the online information, however I’ve heard of a few of the Bavarian immigrants growing this grape. 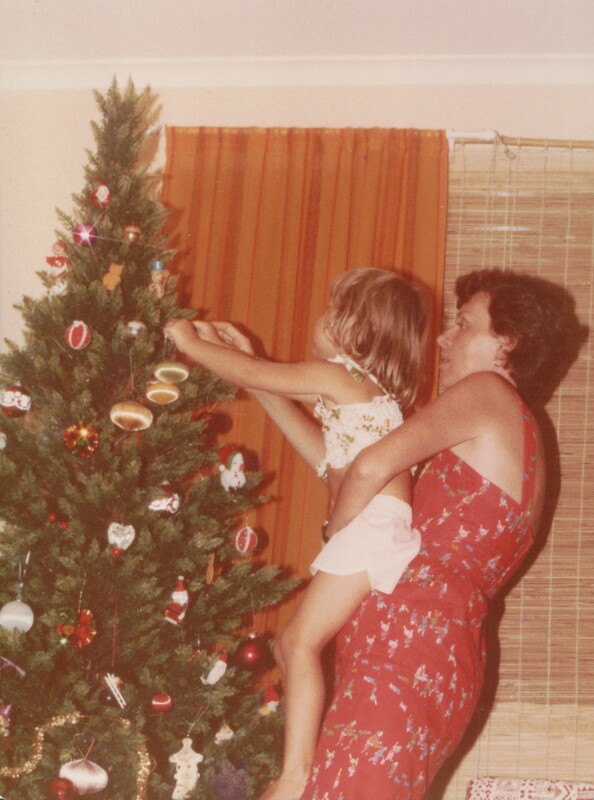 Decorating the tree with our youngest daughter -many years ago. The satiny baubles are from our very first tree. Did your family have heirloom or cherished ornaments? Did you ever string popcorn or cranberries? 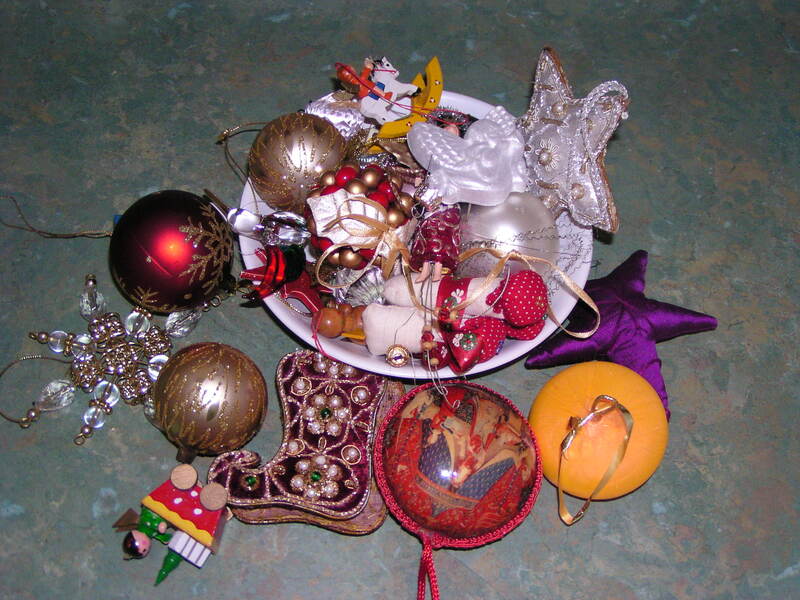 Did your family or ancestors make Christmas ornaments? We did have some special glass ornaments on the tree when I was a child and also some hand-made decorations –probably like most kids at school, you come home with paper chains and the like. In particular we had a lovely china Christmas crèche which we set up with care each year, along with tinsel and streamers. 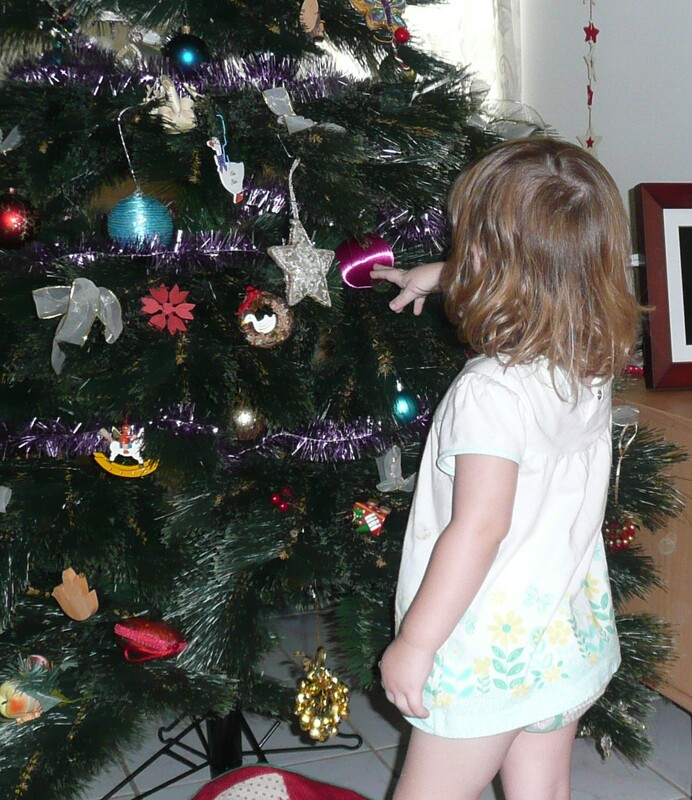 Our granddaughter discovers our tree on her first no-longer-a-baby Christmas. We have been collecting ornaments for our tree over the decades and with various household moves each year is a revelation when a remembered ornament is revisited on one of the other family trees. Over the years we’ve occasionally travelled overseas in the winter months (northern hemisphere) and brought back special decorations as reminders of where we’ve been. The most exciting was visiting the Christmas markets in Nürnberg (Nuremberg) with all the lights, gluhwein, and decorations…heavenly. Each of us is prone to buying ornaments for the others when travelling.. a family tradition I suppose. It’s a strange thing but I’ve always loved the heart-shaped decorations so common in Bavarian design…long before I knew of my own Bavarian ancestry. The cat has his own ideas for Xmas decorations. But why is it that the one you love the most is bound to be the one that hits the tiled floor with a smash, or the one the cat most loves to pull off is your favourite? And then there are the ones that just get tattier each year until you just have to dispose of them…we’ve kept one or two of our very first decorations even though successive cats have done their best to shred them, and some of the children’s handmade items have just become too battered to put up. We put them on the tree- the cat takes them down! It's a pretty good haul for a cat with claws. 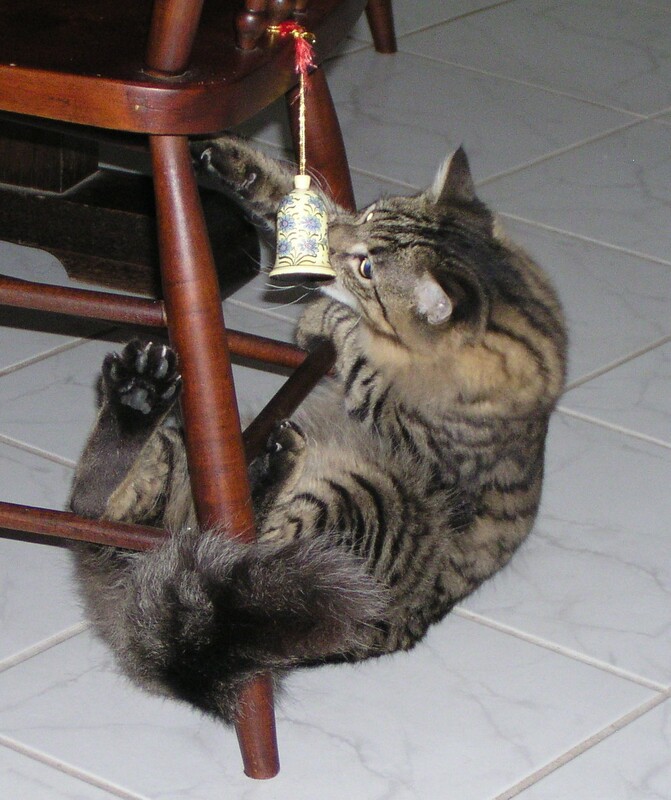 Decorating the tree is a family event – whoever is home participates (including the cat!) and we play carols while we’re setting it up. There’s a timeline issue too –bookmarked by birthdays….unless the cat is too persistent and there are more ornaments off the tree than on! Holiday Foods: Did your family or ancestors serve traditional dishes for the holidays? Was there one dish that was unusual? Formal dinner on Christmas Eve. I think our Christmas holiday foods were fairly typical of our times. The main meal was chicken which in those pre-battery days was quite expensive perhaps with some slices of ham. Sometimes I think we had a prawn cocktail for entrée (prawns, lettuce, orange seafood dressing). We always, always had Christmas pudding for dessert and Dad when offered custard, cream or ice cream would always, always say “yes please”. The table was always set with a lace cloth, best china and cutlery and crystal. It was a quite formal meal, often with just our nuclear family. Shortbread was always made (often on Christmas Eve) from a recipe belonging to my Scottish grandmother. The Christmas cake, like everything else, was homemade with quality ingredients. It’s a very moist cake which I too made for my family. Nuts, ginger and lollies always decorated the table as well as summer fruit like cherries, apricots and peaches. Dad sometimes even had a beer! 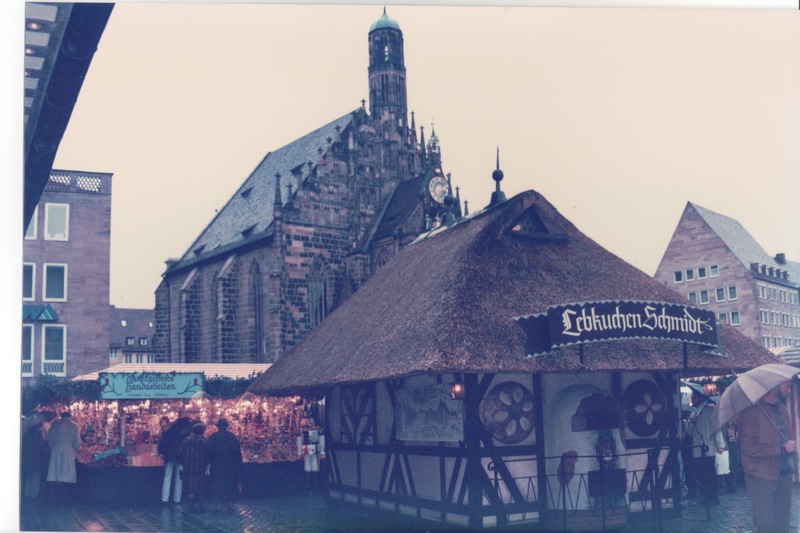 Lebkuchen stand at the Christmas markets, Nuremberg, Bavaria. Since we’ve had our own family, our Christmas meals have changed a bit. For a long time we had a hot meal but with pork as a centrepiece instead of chicken. I was intrigued when I learned that my great-great-grandfather was a pork butcher and how they prepared their pork in the bush. It seems like a nice link to our own tradition of roast pork which was commenced knowing nothing about family history. Over the years, like a lot of Aussies, we’ve changed to accommodate the summer temperatures. Now we have a ham and prawns fresh from the trawlers at the Duck Pond. We might have a hot pork roast on Xmas Eve and then have it sliced cold with lunch. In the lead-up to Christmas we all raid our gourmet magazines and cookbooks trying to find a new and delectable salad or two, or three, to go with the meal which is always very casual. 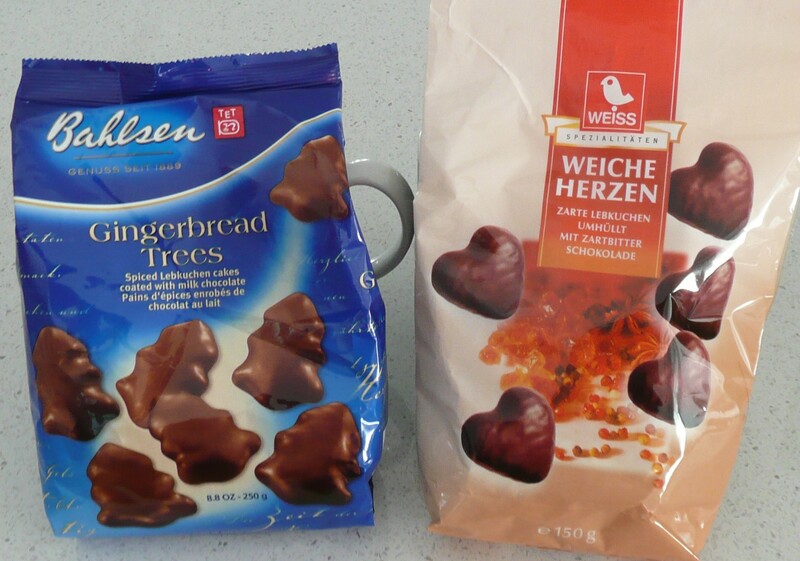 Christmas treats linked to my Bavarian ancestry. Years ago I found an unusual Christmas cake recipe from the Women’s Weekly which included green peppercorns and Cointreau – delicious if different and not to everyone’s taste. The family shortbread is still a must-have item. My mother’s Christmas pudding remains a tradition and on occasions when we’ve not been together it’s even been sent around the country to missing family. Around the time of my 40thanniversary of pudding-making I passed the baton to my middle daughter who has taken up the tradition. My youngest daughter has started a new tradition with her homemade tiramisu. We have lots of cheese and tasty homemade nibblies in the lead-up to the meal. Eldest daughter often takes on responsibility for the innovative treats given her love of cooking and food. Perhaps one of the innovations to our sweet treats is the lebkuchen (German gingerbread) which I buy at the local fancy deli. We adopted it after visiting the German Christmas market and is another nod to my Bavarian ancestry. 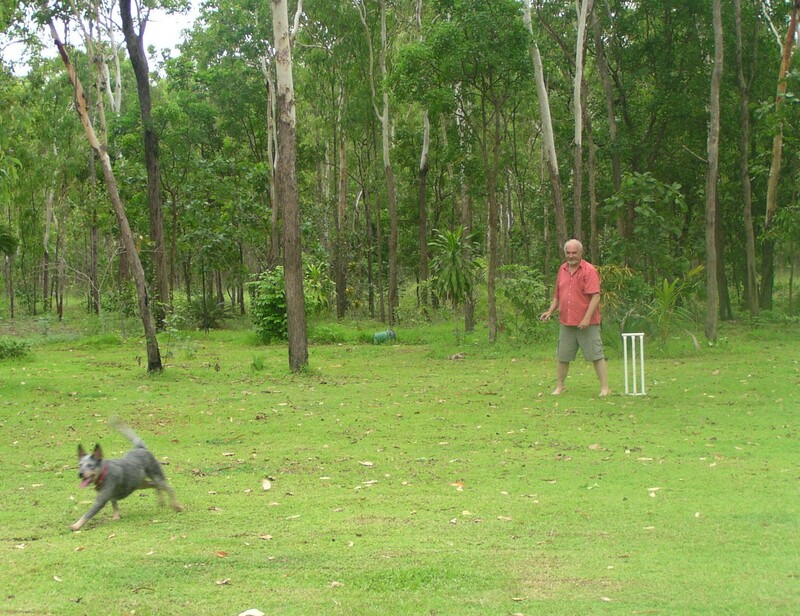 Mr Cassmob and the blue dog (a canine "grandchild") having a go on Christmas Day. The meal itself is a rather fluid affair, spread across hours and interspersed with dips in the pool and when our daughter had acreage, a game of cricket for the energetic amongst us. Whatever happens we all contribute to the culinary splendour and always, always have too much food and each family goes home with a stack of snacks for the coming days.